Summer is fast approaching, and we are excited to announce our 2019 Enrichment Classes, Panther Camp, and additional summer offerings! The variety of opportunities will help motivate and nurture your child’s curiosity and learning, while having lots of fun in the process! Weekly-themed Panther Camp programs offer activities that allow students to explore nature, science, sports, arts, and so much more. Panther Camp is available June 10–14 and July 8–August 9. You can register your child for daily, half-day, and weekly Panther Camp options. Panther Camp is available 7 AM–6 PM. 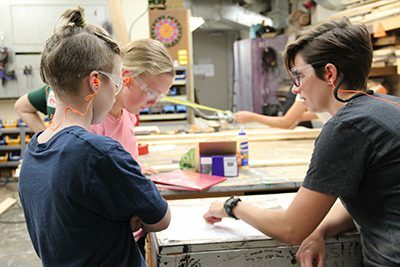 Summer Enrichment Classes runs June 17–21 and offers a wide variety of engaging class topics such as: chess, art, science, academic, carpentry, sport, and more. Enrichment classes run 9 AM–4 PM, and during this week, free Panther Care is available from 7–9 AM and 4–6 PM. During the week of June 24–28, we are offering the national award-winning STEM program, Camp Invention. 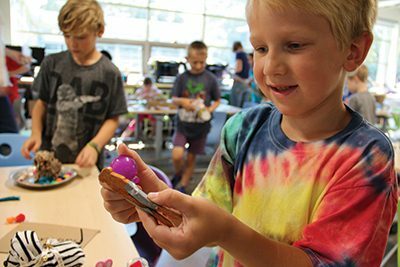 This week-long camp consists of exciting, hands-on, inquiry-based activities that allow students to explore, create, and innovate. Camp Invention runs 9 AM–3:30 PM, with free Panther Care available 7–9 AM and 3:30–6 PM. Also, for the first time ever, MPA is running a two-week long Summer Musical Theatre Camp directed by a local Twin Cities theatre director! Whether you have experience on stage or not, here is your chance to “SHINE.” This camp runs July 15–26 from 9 AM–12 PM, with a performance scheduled at end. We look forward to a fun and productive summer, and hope you join us! Register and learn more here. Please contact Russ Purdy at rpurdy@moundsparkacademy.org if you have any questions. Congratulations to Isak Dai and Ryan Ghose on their performance with the State 9-10 SATB Honor Choir! 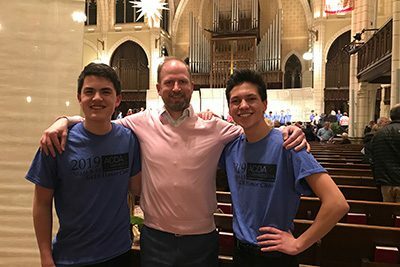 Under the direction of Bradley Miller from the University of Minnesota Morris, Ryan and Isak sang a variety of repertoire with some of the best ninth and tenth grade musicians from across the state. Both are members of MPA’s Madrigal Singers and Concert Choir. 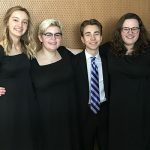 Congratulations to Gabby Law, Solveig Svennevig-Brosi, Jordan Akers, and Julia Portis on their stunning performance with the All-State Choirs at Orchestra Hall! Gabby, Solveig, and Jordan sang in the Mixed Choir while Julia was a member of the Soprano-Alto Choir. All four of them sing in MPA’s Concert Choir and Madrigals. 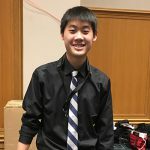 Also this past weekend, Lance Go and Lauren Vilendrer performed in the All-State Concerts in conjunction with the Minnesota Music Educators Convention. 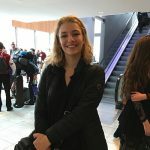 Lance played with the All-State Jazz Band to a packed crowd in the Ballroom at the Minnesota Convention Center, while Lauren played with the All-State Symphonic Band at Orchestra Hall. Invite a friend to visit and get to know MPA! 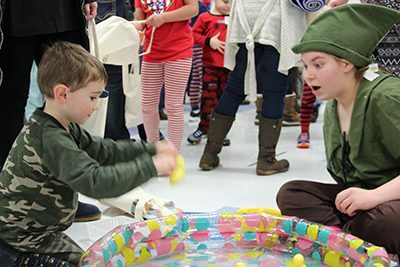 We are hosting two wonderful admission events in January–the Middle and Upper School Preview and Pajamarama! On Sunday, January 27 at 1 PM, prospective Middle and Upper students and their families are invited to campus to preview MPA! This is a fantastic opportunity to explore our school and help participants get to know MPA. On Thursday, January 31 from 5-7:30 PM, is Pajamarama! This beloved event at MPA welcomes prospective Lower School families to campus for an unforgettable evening of games, music, community, and pure joy! 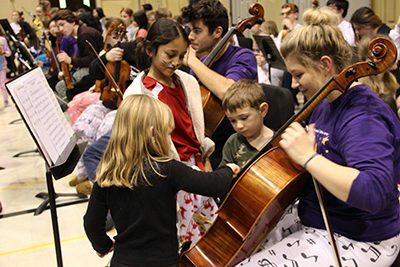 Take a closer look at the joy of Pajamarama with MPA Orchestra Director Leah Abbe Bloem’s insight and experience. 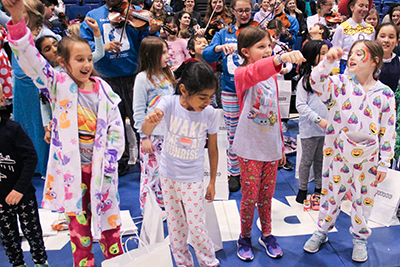 Pajamarama is pure joy at its finest! 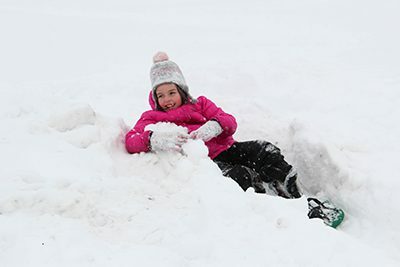 This year’s event will be once again combined with the Lower School Admission Preview and held on Thursday, January 31. The evening will begin at 5 PM for prospective families and 5:45 PM for current families. This Mounds Park Academy original event is a concert created by Upper School orchestra students for Lower School students and their families. The creative endeavor gives Upper School students a chance to entertain and engage with the younger children with unabashed delight. They get to remember what it was like to be a little kid, hearing an orchestra for the first time, in such a welcoming, happy, and fun atmosphere. We are very fortunate to have pre-kindergarten through high school students all on one campus, which builds a strong sense of community that feels like home. 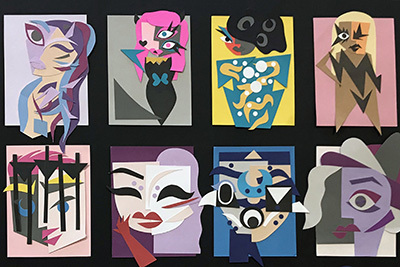 The Upper School orchestra students learn the music and plan a carnival with the understanding that the performance is not about them, but rather what they are giving to, and sharing with, the broader community. 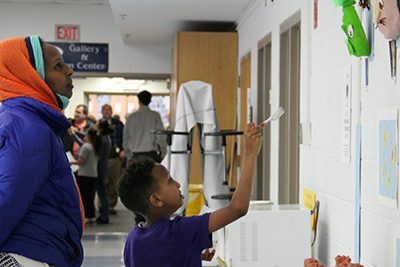 The strong connection between Upper and Lower School students is evident every day at MPA, including at this event. Each student is kind and supportive of one another. At the event, the little ones are encouraged to try games again and again until they win, with cheers from the older students. Even those waiting in line will tell their peers in front of them to try again if they didn’t win the first time. I have often heard that people like to read my weekly messages. That is always welcome news as it can be time consuming and sometimes stressful in the midst of my other duties and demands on my time. However, I truly enjoy the opportunity to reflect on a particular topic relevant to education or taking place in the world and connect it with what is happening at MPA. 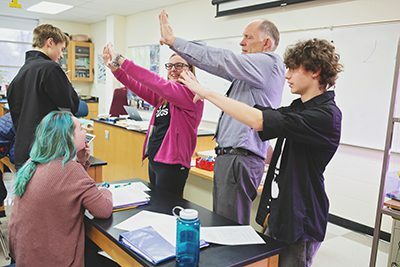 At times, I am struck by something that happens in a classroom or event that gives rise to a deep appreciation for our exceptional teachers and the unique educational experience provided at MPA.